At Bitumix (Private) Limited our culture is deeply rooted with sound business ethics and strong leadership. We have a tradition of commitment to excellence and hard work; constantly challenging ourselves to strive for better. We recognize the importance of every employee’s contribution to the success of the business and parallely we want everyone in our company to succeed and be the best they can be. We want our employees to feel empowered so as to perform to the best of their abilities. We encourage them to use their initiative, challenge the status quo, draw on their personal skills thus helping us to change and adapt our business continually to keep up to date with best practices in the industry. We give them a range of industry specific training, professional development support and mentoring to ensure that they get the best out of their career with us. Where possible, our policy is to promote our existing employee to new or vacated positions, so that as our business grows, so do our people. Bitumix is an exciting and stimulating place to work, where new ideas are welcomed and personal and team successes are celebrated. 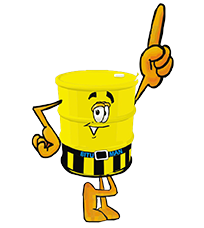 From operatives, skilled trades, managers and engineers, to finance, HR and business development, we all work together as a team to deliver what we’re best known for in the market – outstanding bitumen products coupled with proactive customer service.